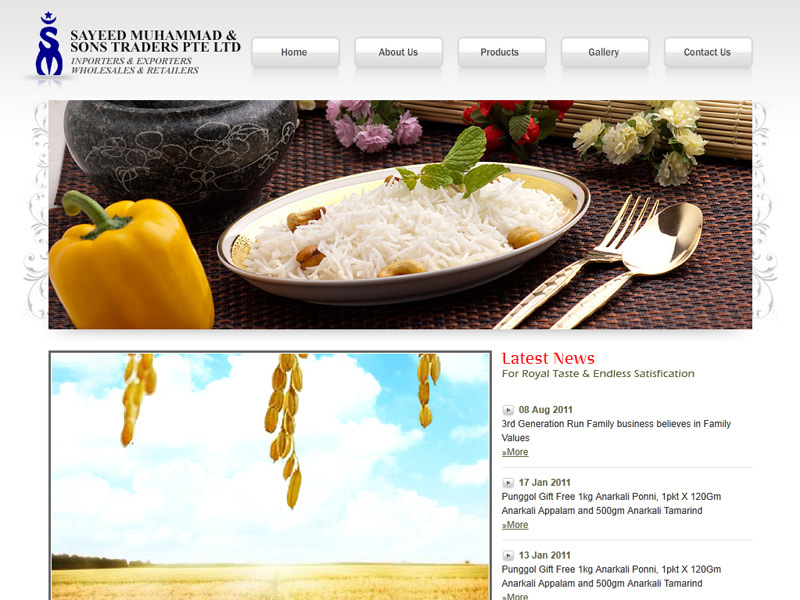 Syed Mohamed Traders (Singapore) Pte Ltd is a company with a long history, having been established in Singapore in 1940 to engage in the business of trading grains and spices. 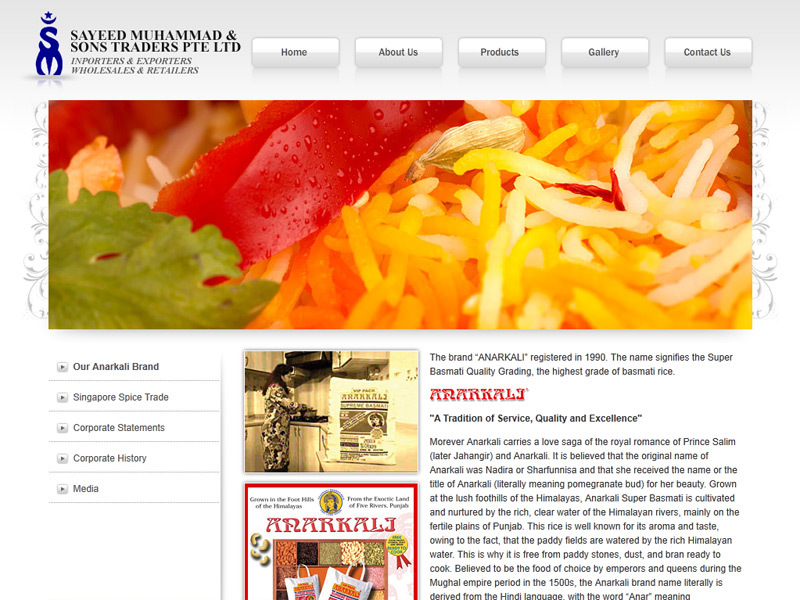 With more than 70 years of success in the trade, the company is now stronger than ever, and continue to serve a growing customer base that includes food manufacturers, ship chandlers, wholesalers, supermarkets, groceries, restaurants and hawkers. A clean, white-dominated theme was adopted to keep the focus on the food products and allow the audience to appreciate their quality. 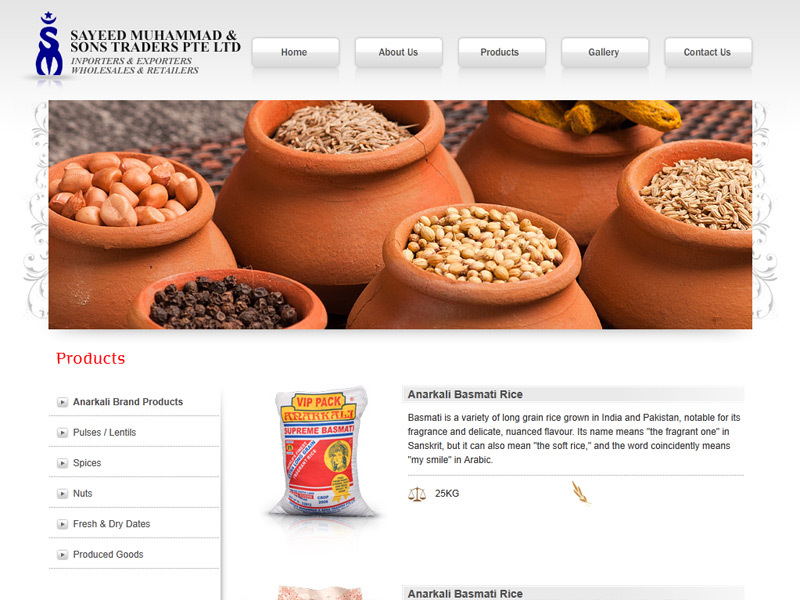 Items associated with Indian history and culinary culture are featured to honour the roots from which this very successful company sprang.